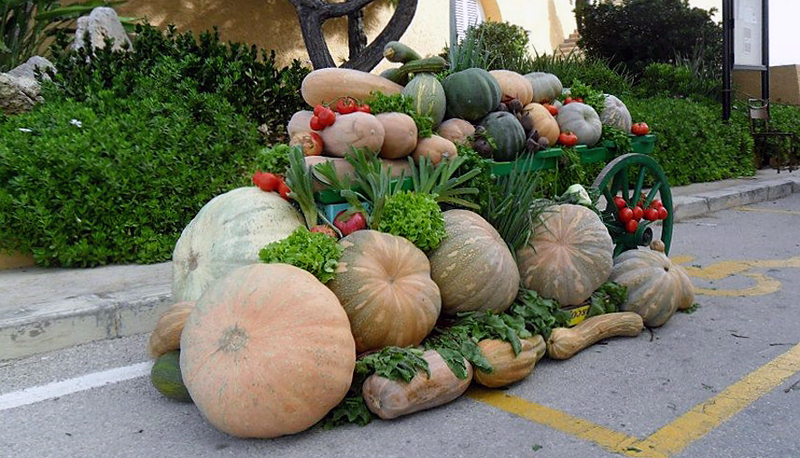 The 9th edition of the Pumpkin Feast in Manikata will be taking place on Sunday 30 October between 10am and 5pm. The rural village of Manikata with its picturesque landscapes aims to showcase the hard work of the local farmers, offering visitors the opportunity to buy pumpkins of all shapes and sizes and fresh local produce from the surrounding fields. This year, as with every edition, a large selection of food items will be on sale with one common ingredient, the pumpkin. Typical savoury pumpkin pies, pasta and rice dishes, and a number of sweets and cakes will also be on sale. Since this year the Pumpkin Feast will be taking place on the eve of Halloween, children attending the Feast are invited to wear their Halloween costumes and to participate in a treasure hunt to find treats hidden especially for them. Other entertainment for children will include a bouncy castle, sand tables and pony rides. An entertainment programme will be taking place on the main stage, with songs by DJ Silvan and performances by Artemocion Dance Studio. There will also be an exhibition of farm tractors and old cars. There will be a free Park and Ride service form Ħal Ferħ to Manikata Church. This event is being organised by Koperattiva Rurali Manikata with the support of Mellieha Local Council and the Parish Pastoral Council of Manikata.